The purpose of weight sorting is segregation of slaughtered birds. 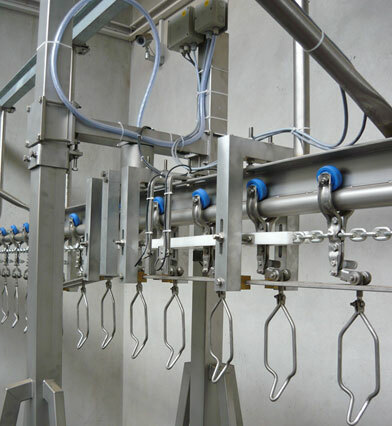 During the sorting process, each shackle with a suspended chicken is lifted, in order to provide as accurate weighing results as possible (with proper settings and calibration, the deviation should not exceed +/- 0.3%). 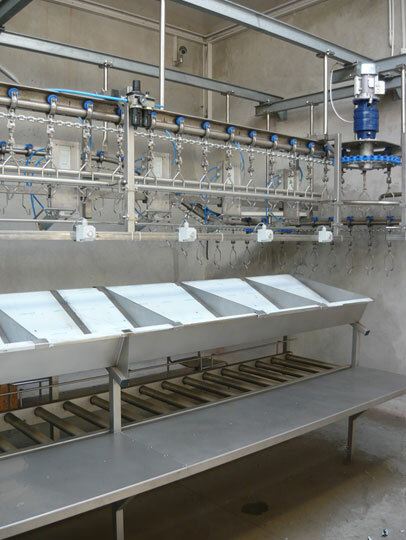 The weight sorting line includes an overhead chain conveyor with special shackles, a weighing bridge, ejecting stations, computer operational system, drop chute with a roller conveyor. The design of the conveyor allows for any desired layout. The entire sorting process is controlled by the computer system.